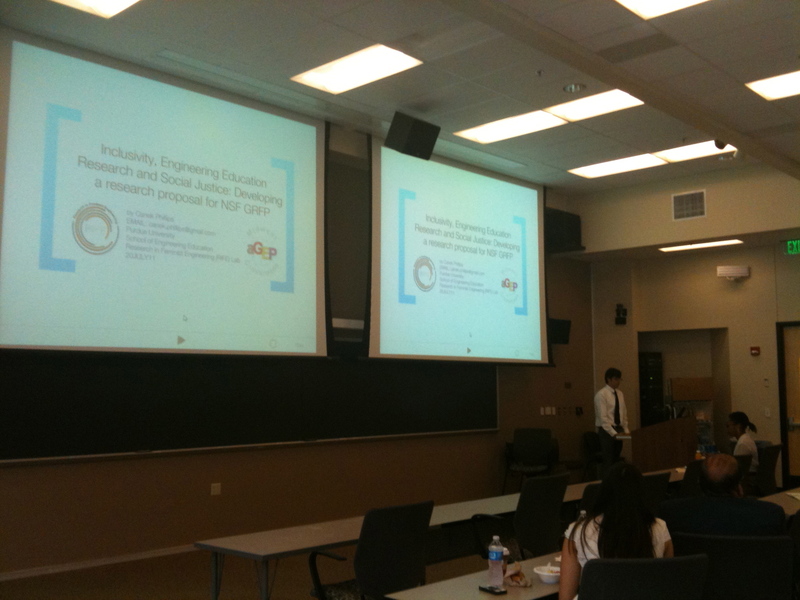 RIFE group member Canek Phillips presented his preliminary work on revising his NSF graduate research fellowship proposal at the final presentation day for the Summer Research Opportunities Program (SROP) associated with AGEP-BRIDGE. This entry was posted in presentations and tagged AGEP, Canek Phillips, GRFP, NSF. Bookmark the permalink.